Submitted Photo The Spike Recognition award went to John Coughlin at the annual Minot Association of Builders awards ceremoney Dec. 5. 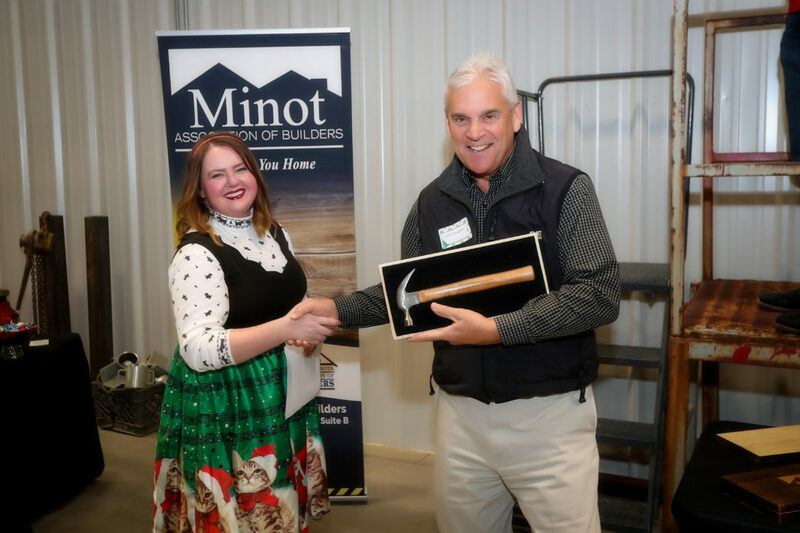 The Minot Association of Builders celebrated the building industry and presented yearly awards on Dec. 5 at its 2018 Builders’ Bash. Over 100 people gathered together to observe the installation of the 2019 board of directors as well as the installation of the 2019 president, Pat Bailey of Muus Lumber and Hardware. New Member Recruitment Challenge – Gene Beau Lac Jr.; Spike Recognition – John Coughlin; BEAM Award Winner – Souris River Designs; Dan Feist Extra Mile Award Winner – Gravel Products Inc.; Citizen of the Year – Chad and Angie Thompson of Prairie Grit Adaptive Sports; Associate of the Year – Houston Engineering; Builder of the Year – All-State Contracting; Best Dressed Award – Matthew Jon Geinert. 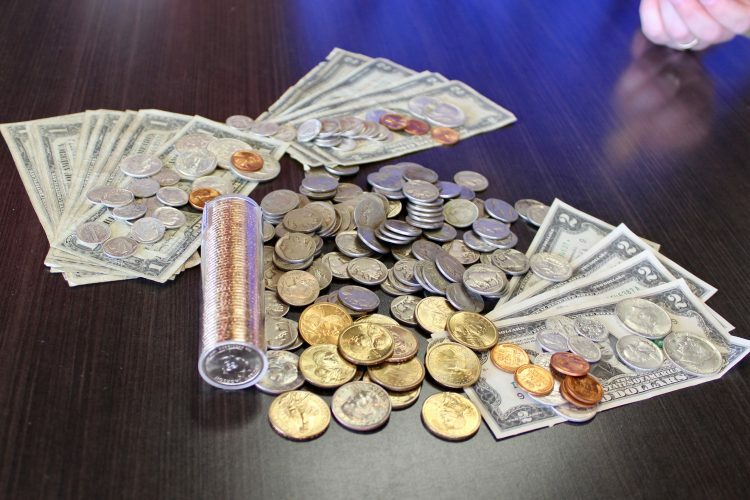 The Minot Association of Builders (MAB) is a non-profit trade organization that was established in 1965. Its goal is to promote the home building industry, home ownership and affordable housing in Minot and the surrounding areas.